Oh, man. We have a new contender for champion of the Bad Album Cover Hall of Fame. 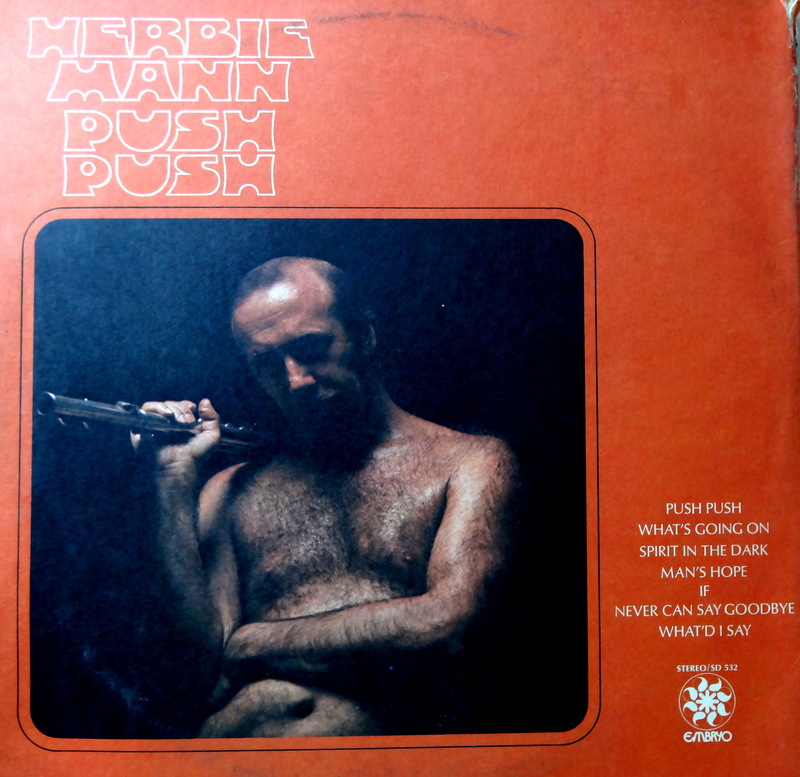 If you’ve ever wanted to relive the shame and embarrassment of seeing your dad naked, keep Herbie Mann’s Push Push on hand. 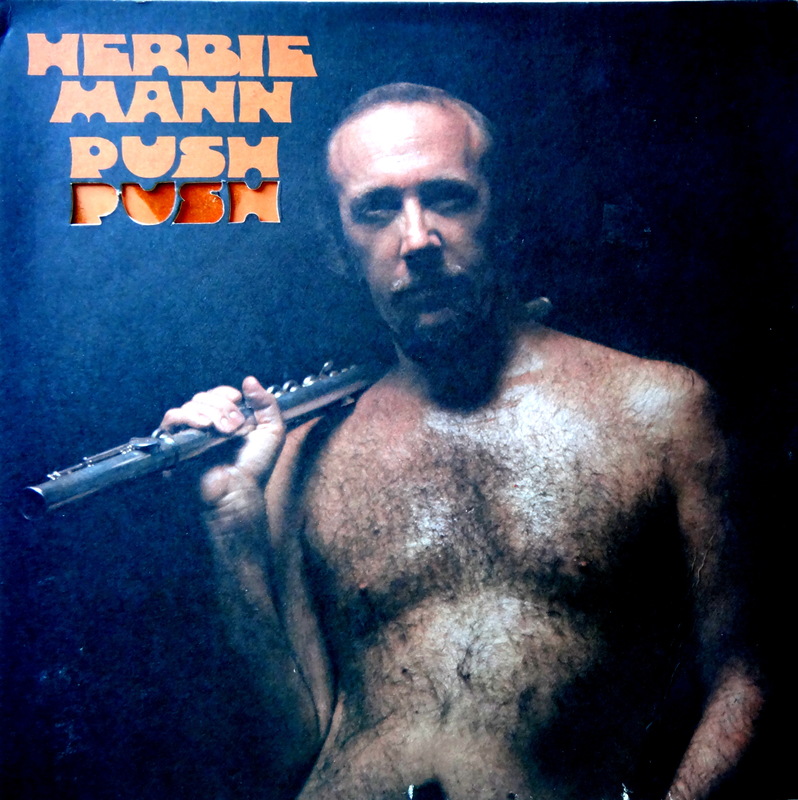 You may have noticed the flute on hirsute Herbie’s shoulder. That’s no prop – the dude rocked the jazz flute. If you’re looking for the real life Ron Burgundy, you’ve found your man. Herbie lays down some serious baby making music on this record, none more so than the title cut. Ready to get your freak on? So what will this baby makin’ record from 1971 set you back? You’re looking at the 5-10 dollar range. Happy hunting.